Since 2008, Slice has re-examined cutting tool design to create the safest safety knives for work. Our primary focus is on reducing lacerations, one of the most common workplace injuries. Teaching safe use of knives in the workplace is a key way to reduce injuries, as is wearing proper PPE. But you must incorporate the safest cutting tools to get the highest return on safety investment. When looking at safety knives in the workplace, Slice addressed blade design because that’s the part of the knife that causes the most damage. After all, the blade is what cuts or punctures your skin. The result is our proprietary finger-friendly® grind: our blades are safe to the touch. Tests of Slice blades also demonstrate that they last up to eleven times longer than steel counterparts. And the rounded-tip blades are safe enough to not require a sharps box when you do have to change the blade. We don’t stop with safer blades, however. Slice works with world-class designers to look at every aspect of handle design, too. This has resulted in some unique designs and a variety of retraction features for added safety. Our tools are ergonomic, aswell, which reduces fatigue and the chance of repetitive stress injuries. But how do Slice tools perform as safety knives in the workplace? We can sing the praises of our efforts, but what matters is that Slice tools do the job out in the field. Here we turn to customer feedback, video demos, and safety success stories to speak for our most popular workplace cutters and their real-world performance and safety impact. 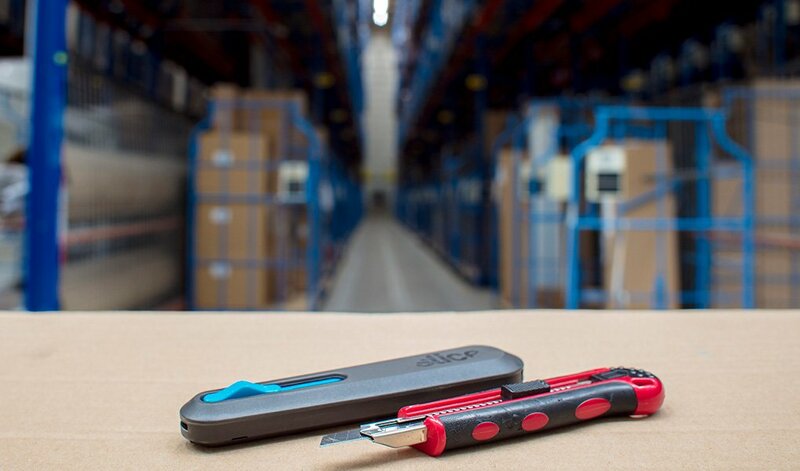 Slice’s safety utility knives are useful for a variety of applications, from cutting open clamshell packaging and boxes to getting through tough rubberized modular flooring. Our utility knives feature greater blade exposure than other cutters, making them the tool of choice for materials thicker than double-walled corrugated. Slice offers three utility knife handle models: manual retraction, auto-retraction, and smart retracting. Each offers a different level of safety. How do you choose the right tool for your workplace? That depends on what the knife will be used for and how frequently it will be used. For any workplace where staff needs to get into boxes, the box cutter is a necessary tool. Slice box cutters feature our unique J-hook design, which provides a natural grip angle and easy cutting movement. The handle wraps over the hand to provide extra protection from hazards like protruding staples. 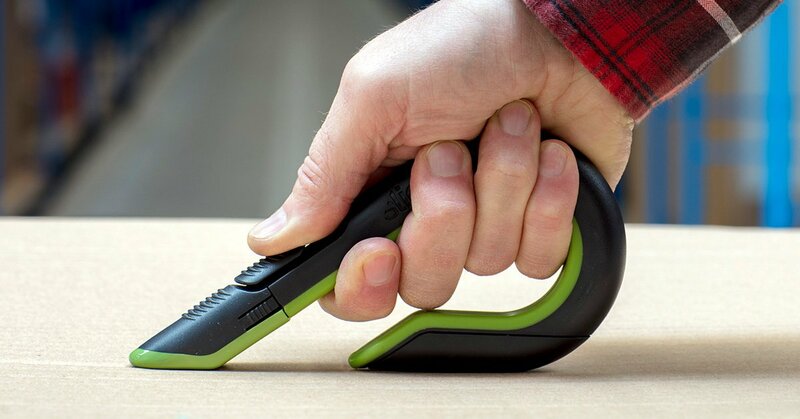 Slice offers two handle options for the box cutter: manual retraction and auto-retraction. Again, the best one for the job depends on how it will be used. Slice works with hundreds of industrial clients to help improve workplace safety. Over half of the Fortune 1000 companies have turned to Slice for this reason. We’ve heard many success stories from corporate clients.  Flowserve and NBCUniversal, for example, use both types of the Slice box cutters. NBCUniversal’s Universal City workers experienced no hand injuries after switching to Slice, and the tools worked perfectly for their staff’s box- and package-cutting needs. At Flowserve, where box cutters are used intensely, one facility has gone over a million hours without a time-loss injury. Workers particularly appreciate the shorter blade exposure because it reduces the chance of injury. Our pen cutters, offered with manual and auto-retraction, are a type of utility knife. They are smaller than our standard utility knives and shaped more like a thick pen. The size makes them more maneuverable and able to fit in spaces where a larger tools aren’t able to reach. But don’t think that small means weak: this tool features the same blade used in our beefier-looking box cutters. Corporate clients like International Paper, NBCUniversal, Gillette, and IPG have all shared the success they’ve experience with the Auto-Retractable Pen Cutter. Like NBCUniversal, Gillette at its Lodz, Poland, plant eliminated lacerations after beginning to use Slice tools. IPG, in Danville, Virginia, experienced its best safety record in three decades after they switched over. One of the newer additions to our line-up of safety knives for work are our safety scalpels. We offer both a replaceable blade model and a disposable model. The latter model is ideal when a single-use, gamma-sterilized tool is required, like for a clean-room environment. Note that this tool features a rounded-tip blade, so no sharps box is required for disposal. If you’re looking for a tool to use multiple times, choose the replaceable-blade model: there are several different styles of blades that fit this handle. Additionally, these cutters can be autoclave sterilized. Both scalpels come with a safety cap to cover the blade when the tool isn’t in use. These tools feature a thin handle to allow the user to get into tight spaces. Our scalpels are intended for precise, intricate work. While this style of cutter is often associated with surgery, that is not the intent here, as these cutters feature our finger-friendly blade. This tool is appropriate for use in R&D labs and manufacturing, or wherever fine detail is needed. The non-magnetic, non-sparking, and non-conductive properties of the blades make them particularly well suited to many specialized environments. At Slice, we always advocate for upholding safety rules when using knives, as well as using proper protective gear like gloves. The root of the problem however, is the tool itself. A safer cutter will reduce—even eliminate—hand injuries. Our users attest to this. We invite you to try Slice safety knives for work and welcome you to share your experience.